A Celebration of Life will be held from 6pm-7pm Friday August 3rd, 2018 @ Havenbrook Funeral Home in Norman, OK.
David M.Swiniuch of Norman, Oklahoma, formerly of North Tonawanda, New York passed away suddenly on July 20, 2018. 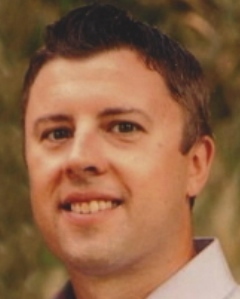 David was a 1999 graduate of North Tonawanda High School and a 2003 graduate of SUNY Oswego. He worked as a meteorologist for Weathernews in Norman, Oklahoma for the past 14 years and was an avid sports fan. Beloved son of Janet (Narloch) Swiniuch of North Tonawanda and the late Thaddeus Swiniuch; dear brother of John (Jamie) Swiniuch of the Town of Lancaster; uncle of Andrew and Emily Swiniuch. In lieu of flowers, memorials in his name may be made to Catholic Charities, 741 Delaware Ave., Buffalo, NY 14209.